A ballot measure passed by voters this week is already freeing California suspects from jail as their felony charges are reduced to misdemeanors, and people previously convicted of the charges receive reduced sentences as they appear in court. Sheriffs across the state immediately began implementing Proposition 47, which calls for treating shoplifting, forgery, fraud, petty theft and possession of small amounts of drugs, including cocaine, heroin and methamphetamines, as misdemeanors instead of felonies. Two-dozen suspects who were being held on those charges walked out of Sacramento County jail two days after 58 percent of voters approved the initiative on Tuesday. They were among the more than 400 Sacramento jail inmates expected to be freed while they await trial on reduced charges that in many cases will no longer keep people behind bars after arrests. Other sheriffs immediately changed arrest policies while they reviewed which inmates qualify for release. Meanwhile, inmates in state prison on the charges can petition for release. It appears the measure intended to save hundreds of millions of dollars a year in reduced prison and jail costs is already having that effect. Under the initiative, savings will be diverted to rehabilitation programs intended to reduce crime, though the programs will lag far behind the criminals' release. Hours after the bill passed, Fresno County deputies were instructed to stop jailing people arrested on the lower-level crimes, said Sheriff Margaret Mims. Suspects there and in other counties are now issued citations similar to traffic tickets and ordered to appear in court. San Francisco Police Chief Greg Suhr is letting officers know Proposition 47 changed the rules in California. Jean Elle reports. The state corrections department began notifying nearly 4,800 inmates in California prisons that they can petition judges to have their felony convictions and sentences reduced. Convicts serving time for the felonies in local jails can also petition for release. The initiative is projected to keep about 4,000 inmates out of state prisons each year, more than enough to help the state meet a population cap ordered by federal judges. County prosecutors and courts also may shift more attorneys and judges to handle the increase in misdemeanors. Los Angeles City Attorney Mike Feuer immediately sought more than $510,000 to hire 15 lawyers and clerks. He anticipates about 13,500 additional, mostly drug-related cases a year — a 17 percent increase in the current workload. Critics predicted, however, that the measure will hurt public safety. 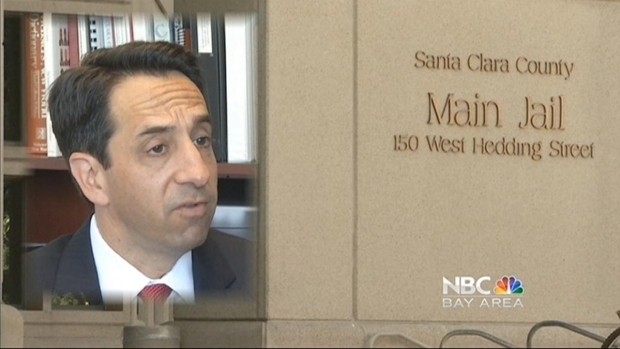 In an exclusive interview with NBC Bay Area, Santa Clara County District Attorney Jeff Rosen announced is supporting Prop 47, which would reclassify some felonies as misdemeanors for some non-violent crimes. Damian Trujillo reports. The savings won't be calculated until 2016, and it will take more time to divide the money among rehabilitation programs. The Board of State and Community Corrections is in charge of 65 percent of the savings, which will be distributed as grants for mental health and drug treatment programs. Another 25 percent is earmarked for school truancy and dropout prevention programs, and 10 percent to help crime victims. Implementing the ballot measure so quickly will create a lag between the release of criminals and ramping up the programs intended to help them, board spokeswoman Tracie Cone said. Emily Harris, statewide coordinator for the group Californians United for a Responsible Budget, which backed the initiative, said lower-level offenders don't deserve lengthy jail or prison terms even if they can't immediately benefit from crime prevention programs. Proponents will be watching to make sure the corrections board, which is dominated by law enforcement officials, doesn't siphon the money off for jail programs, or that the truancy money isn't used for more school police officers, Harris said. Mims, the Fresno County sheriff, is concerned that fewer criminals will use rehabilitation programs. Previously, district attorneys frequently reduced felonies to misdemeanors if criminals agreed to drug treatment. Sacramento County District Attorney Jan Scully sees another unintended consequence. 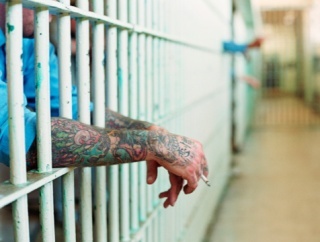 Generally, only suspects arrested on felonies are required to submit DNA samples to a database that can be used to connect them to other crimes. Her office recently built a murder conviction around just such a link to a suspect whose DNA was on file because of a felony drug arrest. "Under Proposition 47, he would not be in that data bank,'' she said.